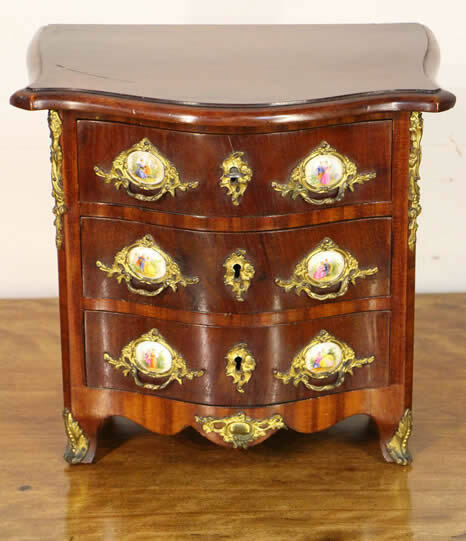 Often referred to as an Apprentice piece, this cute three drawer French chest in the Louis XV manner. 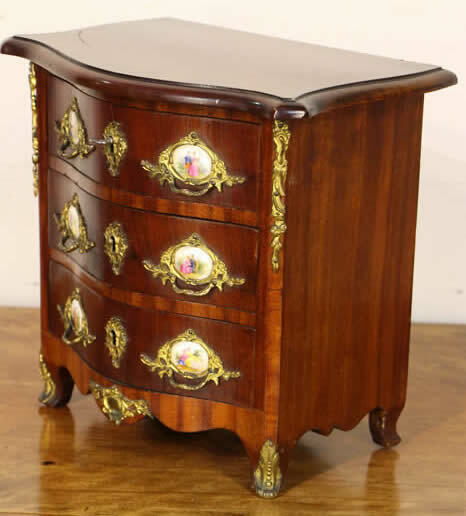 Each serpentine shaped drawer with ormolu mounted , hand painted Angelika Kaufmann porcelain medallions and matching mounts and escutcheons. 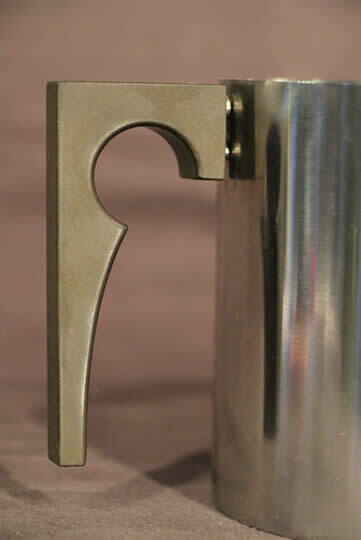 A steel key is supplied to and locks each drawer with original locks. 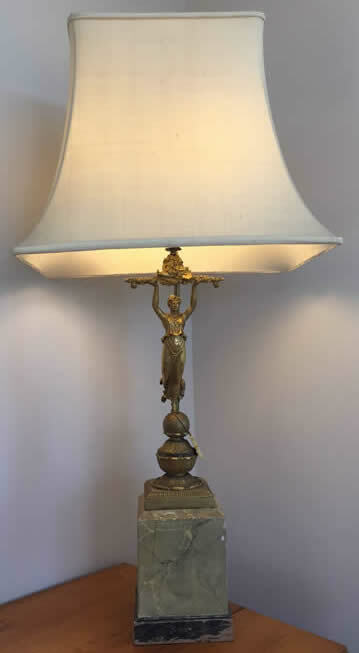 Good original patina to polished finish. 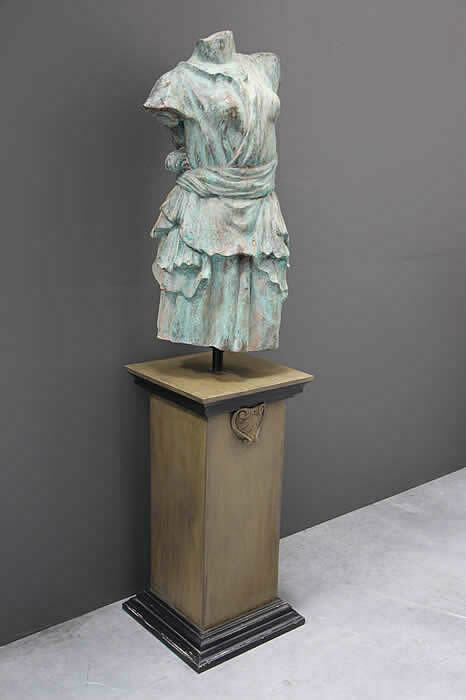 Pieces of this size are very rare and highly sought after by the collector and are ideal for jewellery , watches or other valuable treasures. 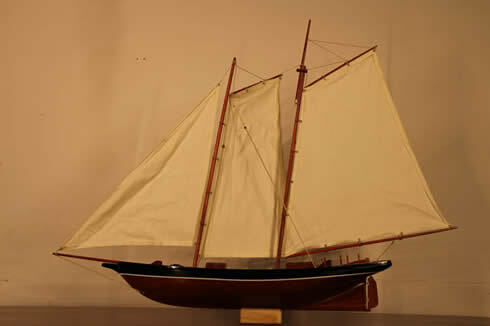 A hand made wooden model of a twin mask sailing ship , complete with stitched canvas sails, pulleys etc and deck details. 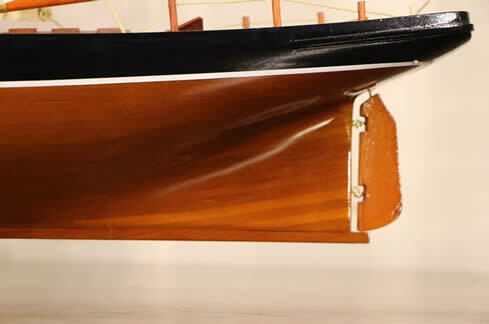 The hull is constructed of many pieced of timber glued together then shaped. 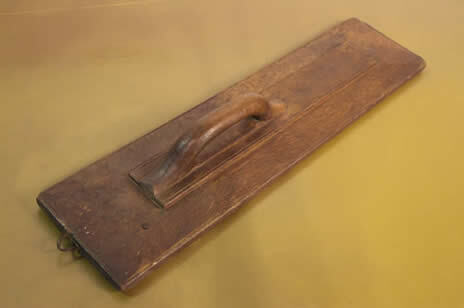 Original Swedish mangle board used to dry and flatten linen without ironing. 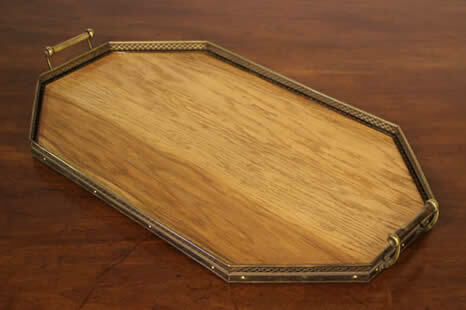 Traditionally these types of boards were made for by the groom who would give this to his bride as a mark of honour. Unusual that this is made of a single piece of solid oak . 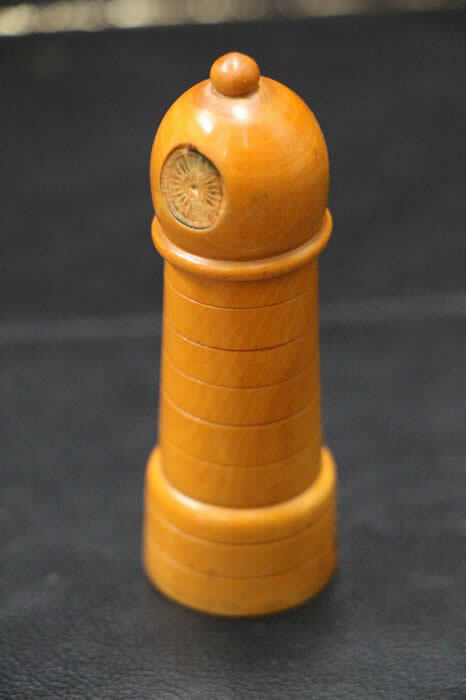 Even the craved handle and raised section underneath has all been carved from one block, indicating the groom's dedication to his bride to be. 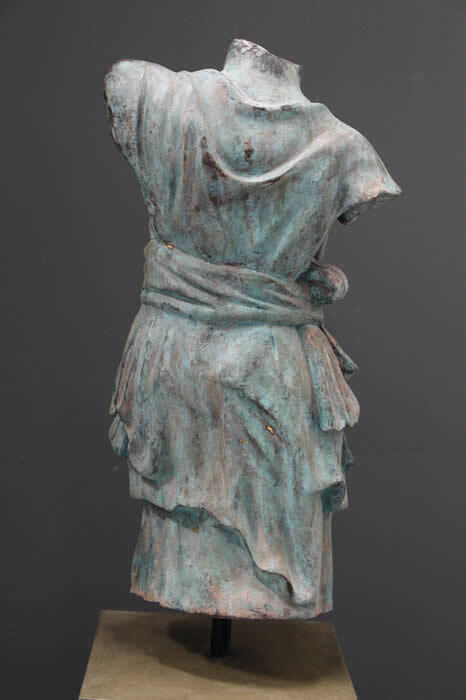 Nice original patina and restrained design. 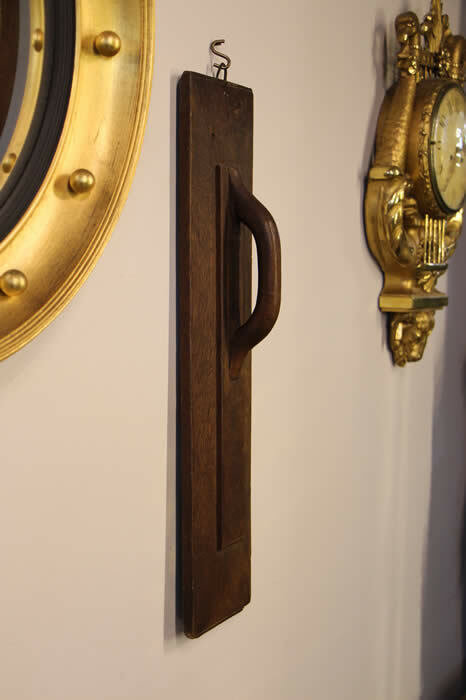 A hand wrought iron hook at the top allows for traditional hanging for display. 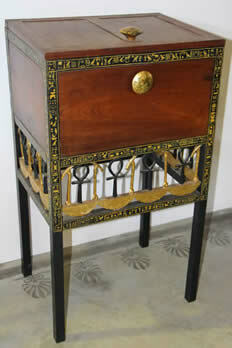 Even rarer is that the oak is nice and smooth and not covered in later applied carved and painted designs. 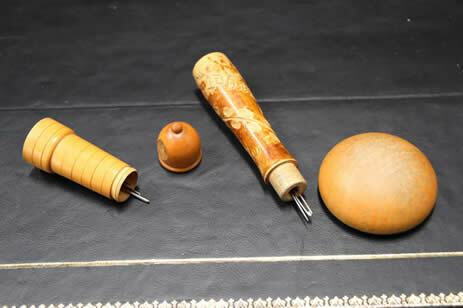 Wet Linen would be wrapped around a large rolling pin and the mangleboard would move over back and forth, smoothing the linen and flattening it nicely. 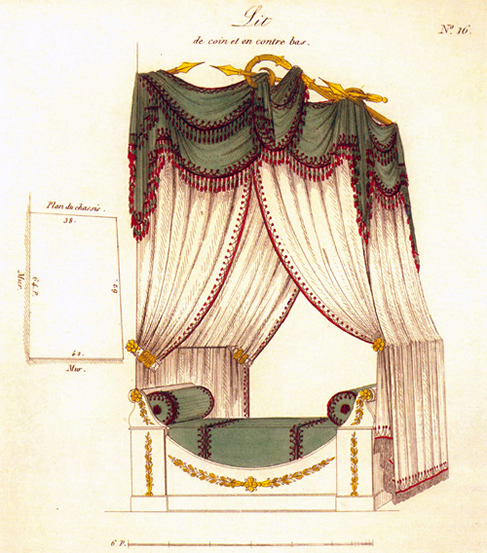 Swedish 18th century or earlier. 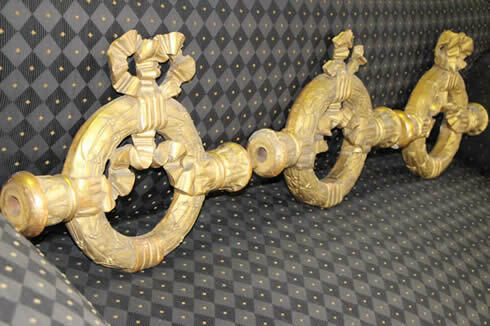 A set of three hand carved and gilded wreaths for curtain rail swags of impressive size design. 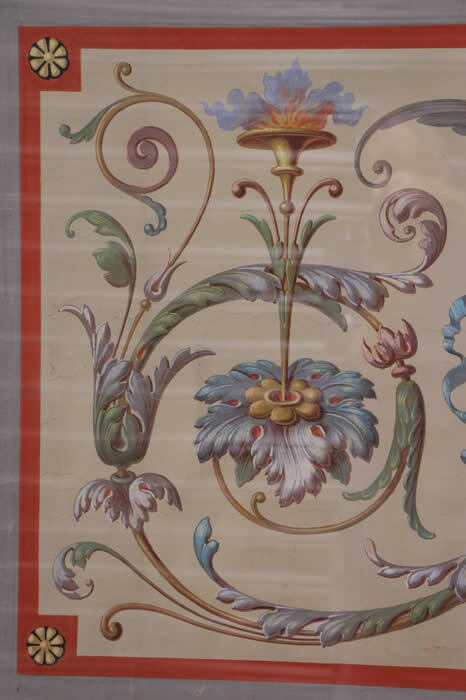 Completely original gilding with real gold leaf, these wreaths would date from around 1810 and would have held curtain rails as per image . one wreath has damage to the top carved wood ribbon loop but everything else is in excellent condition. 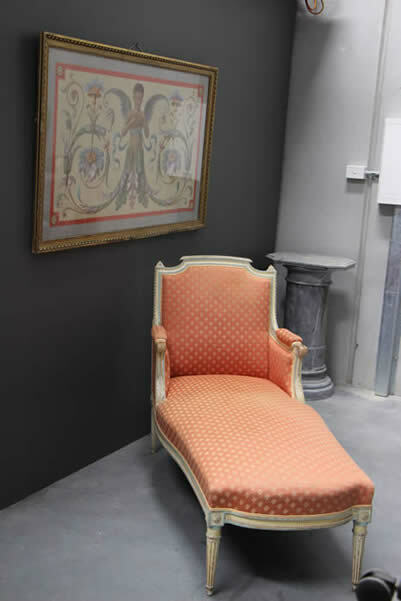 perfect for that parissian chic look and great for Swedish neoclassical interiors too. 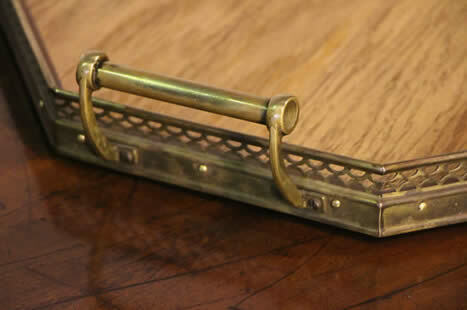 A large solid brass serving tray with intergated handles and pireced gallery. The blonde oak platform secured by brass polished frame within the gallery. 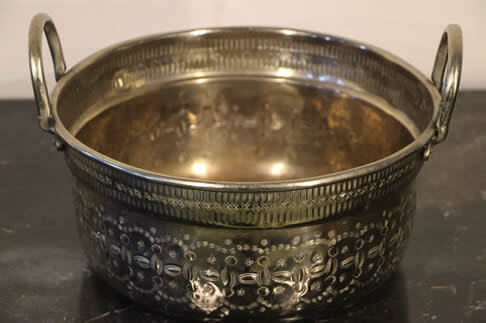 The brass indicates a Regency style naval origin and practical pierced gallery is ideal for holding plates and glasses in place in heavy seas. 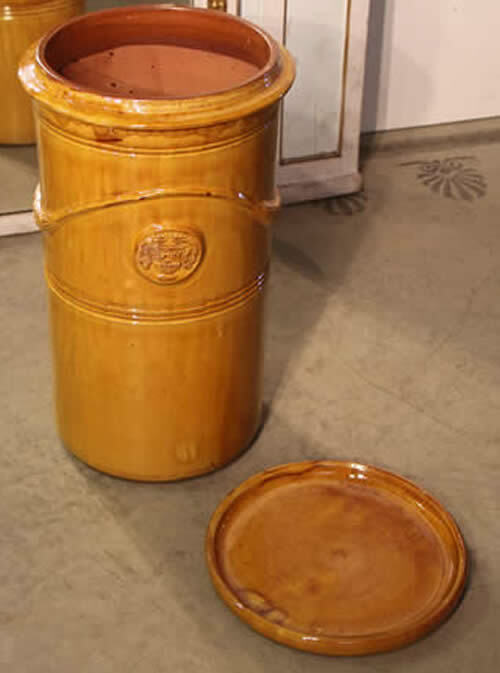 Title French Glazed genuine ANDUZE barrel shaped urn with saucer or lid. 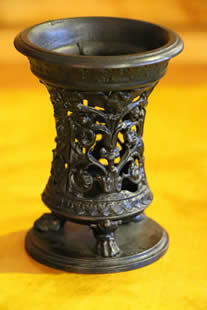 A French hand made terracotta Anduze urn with signed medallion centre in sienna glaze. 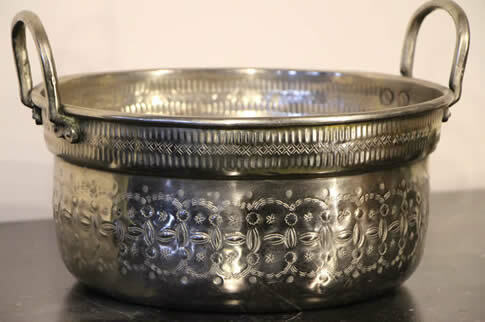 Possibly a pickle jar or fermenter, complete with drip saucer/lid. 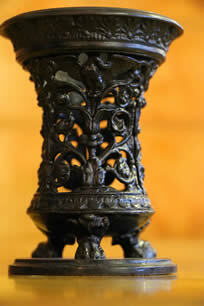 This urn is in perfect condition and would make a beautiful umbrella stand. 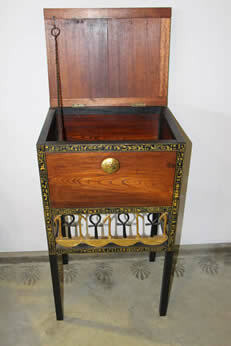 Perfect as an umbrella stand or for holding household utensils. 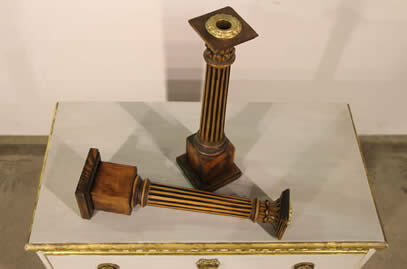 Title Pair carved Scandianvian pine columns with gilt bronze candle nozzles. 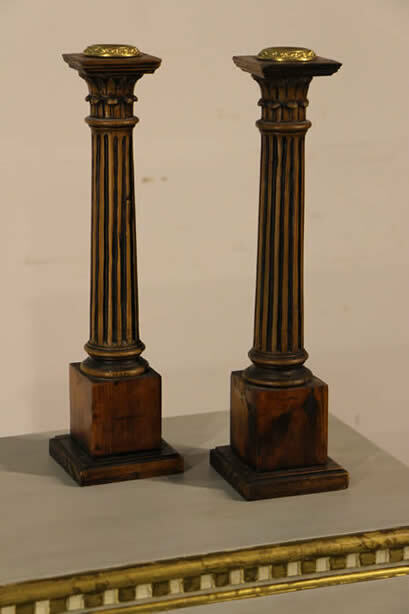 Lovely pair of antique Scandinavian columns, complete with pedestal bases, tapering fluted column and carved corinthian capitals. 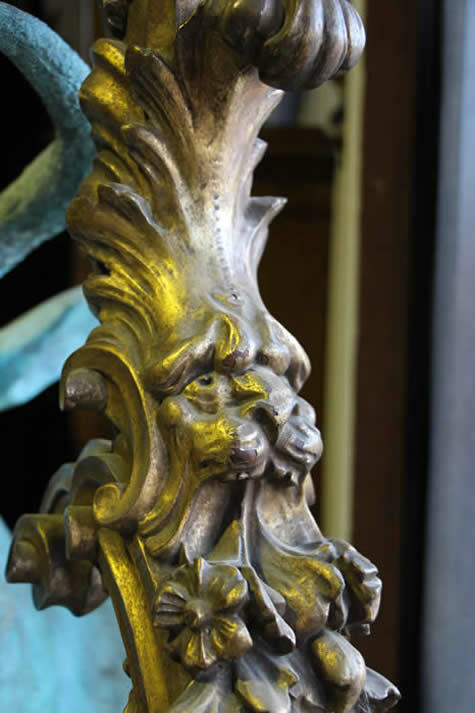 A nice patina finish these may have been apprentice pieces and are finished with gilt bronze candle nozzle tops complimenting the acanthus carved capitals. Original signed Stelton 1.25 Liter Teapot from the Cylinda-Line. Made in stainless steel 18/8 and designed in 1967 by Arne Jacobsen for Stelton, Denmark. Fine condition, but with some wear - as to expected. Some minor abrasion consistent with age and use to surface of the body. 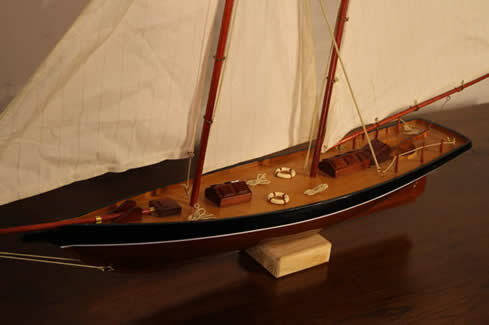 Height: 13 cm = app 4 1/3". 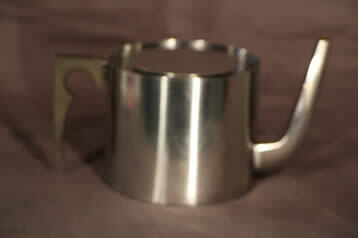 Diameter of the teapot: 13 cm = app 5 1/10. 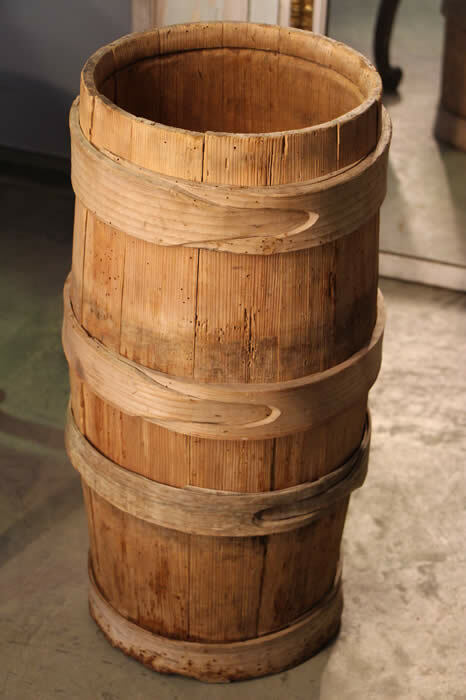 Total diameter including handle & spout: 24 cm = app 9". 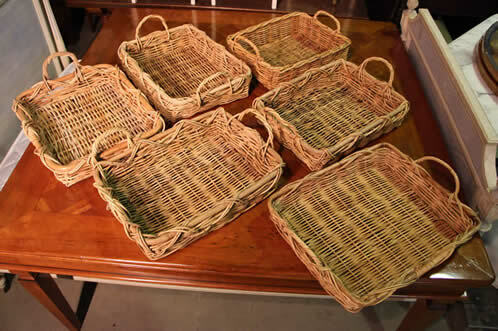 Classic and elegant designed for Lauffer Design by Arne Jacobsen..
Set of six hand made tray baskets , perfect for wine bottle trays or gift hampers. 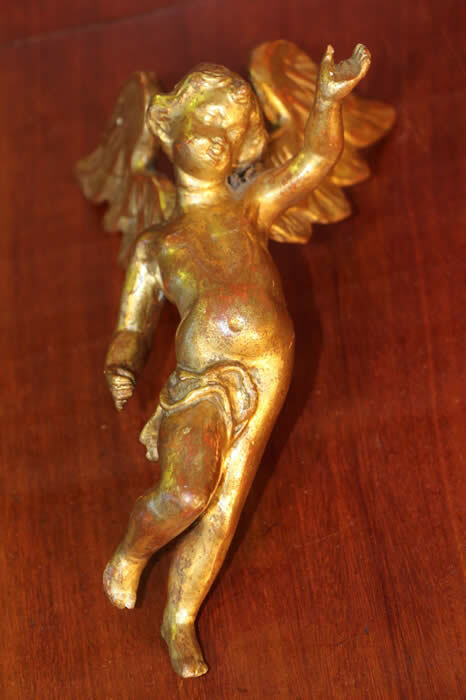 An antique carved wood angel figure. Thsi goregous scultpture has been executed in three part; the main body, and the two wings. 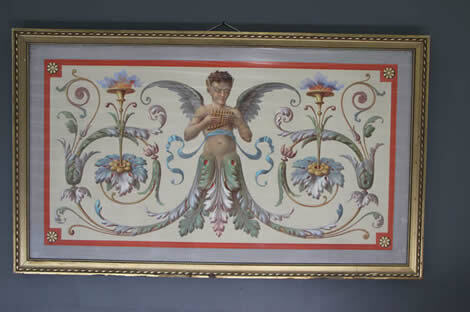 a wonderful face and good gold leaf gilt finish and nice original aged patina. 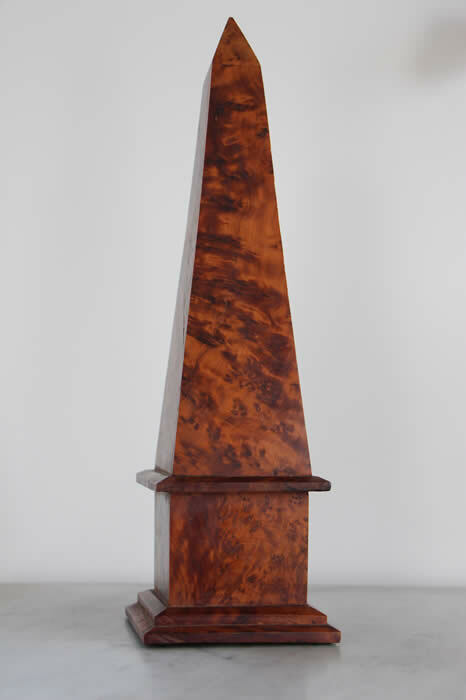 A magnificent neoclassical obelisk with carved stepped plinth in burl or burr Huon pine from Tasmania. 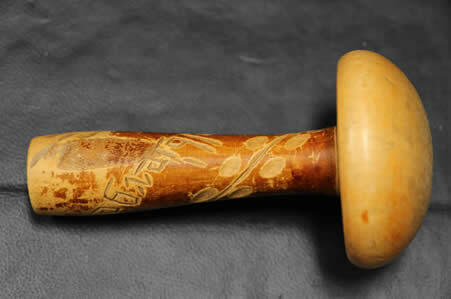 The birdseye grain being highly sought after and a very rare timber. 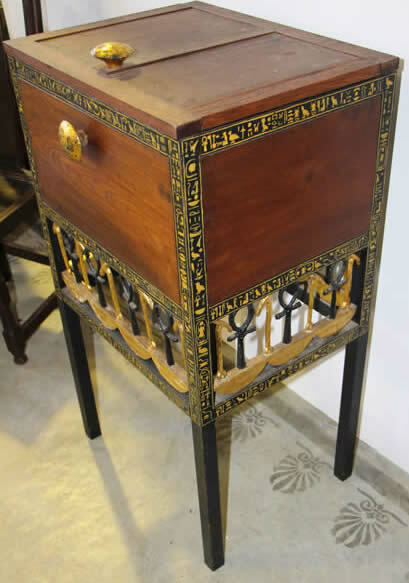 No signature or markings to this gorgeous cabinet makers piece.